You may feel limited in your search for the perfect choice of care for your elderly parent or loved one due to the high cost of available home care services. The main decisions people face are either putting their relative in a senior home or using some form of home care service to maintain their quality of life. Moving to an assisted living facility or retirement home may be the last choice for seniors who find themselves unable to care for themselves on their own. The idea of moving from a family home to an apartment the size of a dorm room while only being able to bring a select few belongings is a difficult one to imagine, let alone live through in the last years of your life. On top of that, being held to the whims of the care home’s schedule and routines, like meal times, food choices, and leisure activities, leave a loss of independence that leads to further resistance to care. This change makes the transition from living in their home to a care facility that much more difficult and less appealing. More than a change in lifestyle. Not only that, the cost of nursing homes can be expensive, averaging about $3,500 a month for one-bedroom. Also, the cost of care homes can be outlandishly expensive, being hundreds of dollars a day to rent a room. However, Medicare does assist with much of the cost, making it a more affordable option. Even so, care homes carry a stigma as a generally uncaring facility where the elderly are dropped off and forgotten. No one wants to move into a home. 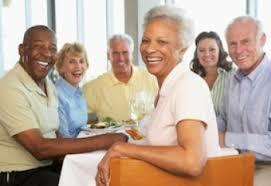 Hiring a caregiver is a good alternative both in price and quality of life for your loved one. The problem with hiring a home care worker–either privately or through an agency–is the cost of home care services. 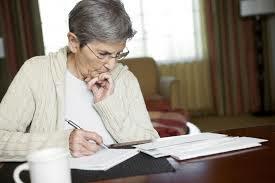 While relatively inexpensive, there is some difficulty finding agencies Medicare covers. This can be a turn-off for families considering hiring a caregiver. However, in February of last year, there came a change to Medicare with the signing of the Bipartisan Budget Act of 2018. This change–while still in development–has the potential to cover in-home care by January of 2019. This change is excellent news for those who wish to hire a caregiver for their loved one. But there is still some uncertainty as to how much of the cost covers caregiving, and agencies that receive coverage under the act. Currently, there is quite a bit of back-and-forth about what parts of home care services qualify for Medicare. There are a couple of points to know if you are considering hiring a caregiver so that your loved one can continue living at home. You must be under the care of a doctor, and you must be getting services under a plan of care created and reviewed regularly by a doctor. Physical therapy, speech-language pathology, or continued occupational therapy services. These services are covered only when the services are specific, safe, and an effective treatment for your condition. The amount, frequency, and time period of the services needs to be reasonable, and they need to be complex or only qualified therapists can do them safely and effectively. To be eligible, either: 1) your condition must be expected to improve in a reasonable and generally predictable period of time, or 2) you need a skilled therapist to safely and effectively make a maintenance program for your condition, or 3) you need a skilled therapist to safely and effectively do maintenance therapy for your condition. The home health agency caring for you is approved by Medicare (Medicare certified). You must be homebound, and a doctor must certify that you’re homebound. Lastly, the caregiving agency you are working with must be Medicare-certified. Make sure that you know the limitations of your Medicare plan, so you do not get slapped with an expensive bill or are unable to find a service for your loved one. Your agency should discuss several things with you, such as how much Medicare will pay, items and services not covered, and the cost of those things. Get it in writing so that if an issue arises in the future, it can be resolved with a paper trail. Ask for an “ABN,” or Advance Beneficiary Notice of Noncoverage before accepting services and supplies that Medicare doesn’t cover. Talk to your loved one’s doctor about coverage including home care services. Coverage will vary depending on variables such as other insurances your relative has, how much the doctor charges, whether your accepts assignment, the type of facility or agency you are inquiring about, or where you get your items and services. Go to Medicaid.gov for more information and to see a more thorough list about Medicare coverage. Looking for more resources about home care services? Our blog has plenty of information for you to read and learn about the topic.